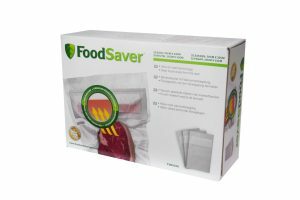 The FoodSaver® Liquid Blocking bags are ideal for vacuum sealing juicy and moist foods. The bags are 950ml volume, perfect for sealing marinated foods, raw meats and juicy leftovers with no mess and leak. 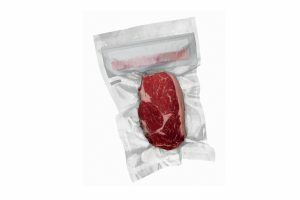 These bags are ideal for vacuum sealing juicy and moist foods. The liquid-blocking strip prevents moisture from escaping the bag, creating a strong, clean seal. Liquid Block bags come in a convenient size that makes them perfect for sealing marinated foods, raw meats and juicy leftovers with no mess and no leak.